This Little faery measures just 2" long. 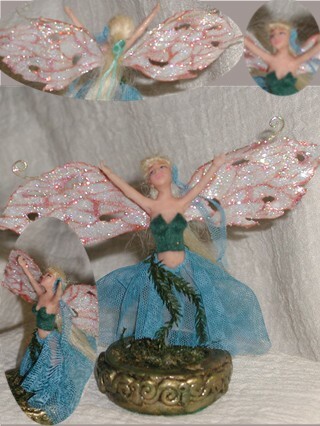 ~This little faery measures 3" tall. Full body sculpt. Hand painted wings made from paper.